Hi friends! Larisa again from the iheartplanners team. I always start these blog posts talking about how I can’t believe how time has flown, but seriously… I can’t believe it! When we first thought up the design of this pack, we had no idea what month it would be for. But putting our Constellation theme in November ended up making perfect sense – and was right on time for the new Ryan Gosling movie, First Man! I saw it with my husband on a date night the other week and cried so hard. What a beautiful movie! If you haven’t seen it yet, I highly recommend getting out to the movies soon! Our date night happened to be spontaneous, but I wish it wasn’t. A lot of the times, our date nights fall on days when we have high-energy and also happen to have a friend or family member who will offer to babysit. My daughter is 20 months right now, so babysitting is really just sitting on our couch while she naps. We still do dinner and bath time with her, because we don’t want to confuse her. And also because we live down the street from a cinema! 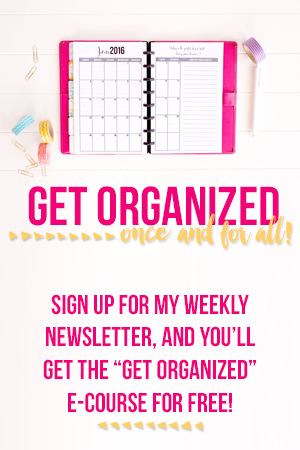 I’m trying to be much more intentional about planning with a “bird’s eye view” – aka my monthly planning. I recently started a new job, and I’ve been overwhelmed to the point where every single day is a struggle. When I’m really stressed, it’s important for me to “zoom out” and look at the entire month. When I can see how my month is going it really helps me make sure I am on task, still moving forward with my goals and meeting my commitments. Putting pen to paper to really nail down my month is the most important part of my planning process. With my google calendar, even though I can put anything in it at any moment, I often forget the event is happening until the day before! When I write down what’s happening and spend a few minutes before the beginning of the month making sure I’m well aligned, I am able to actually plan for the future instead of letting my schedule sneak up on me. 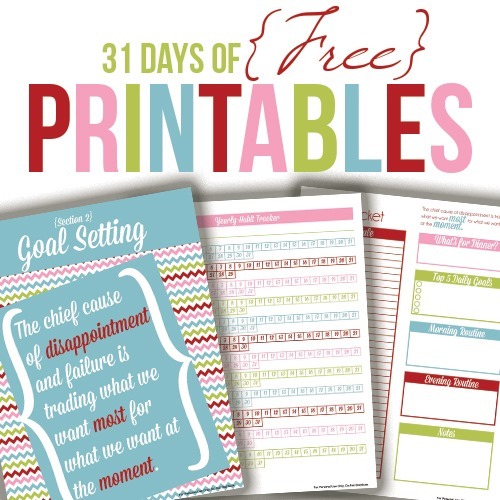 I also like that this printable has a place to list out your monthly goals, important dates, and general notes. I add my monthly goals based on my goal planning and before I add them to my goal tracker. Just having a reminder of what I promised myself to do motivates me to add more tasks to my monthly calendar that will get me closer to my goals. And adding in important dates, like birthdays or really big meetings, also keeps the most important events at top level so I know what to focus on. 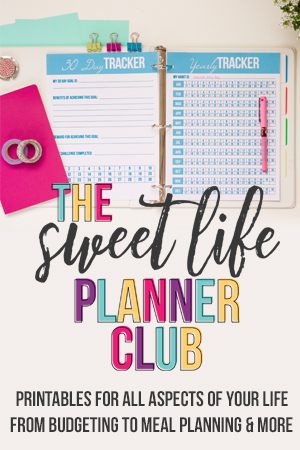 If you’re in the Sweet Life Planner Club, you get our Monthly Planner Packs with custom hand illustration each month. This month is a constellation theme, with lunar stages or stars on each page. So cute! If you’re not in the club – don’t worry! 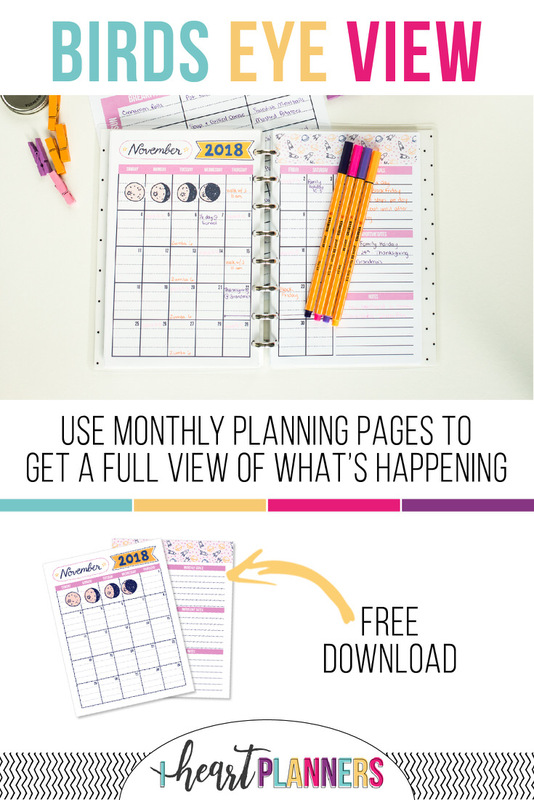 You can still plan November 2018 with our free monthly printable. Enter your info and download your free pages today. This has to be the cutest planner I’ve ever seen.